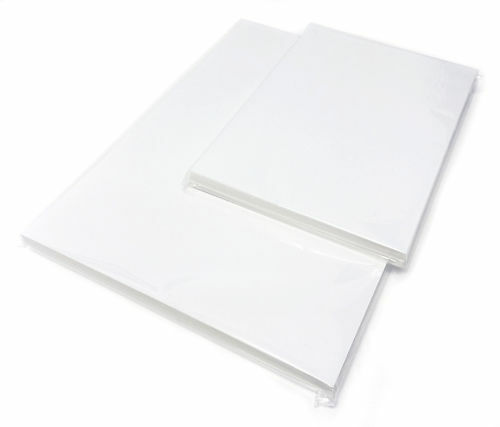 Archival white backing boards to use with fine art prints for professional presentation and storage purposes. 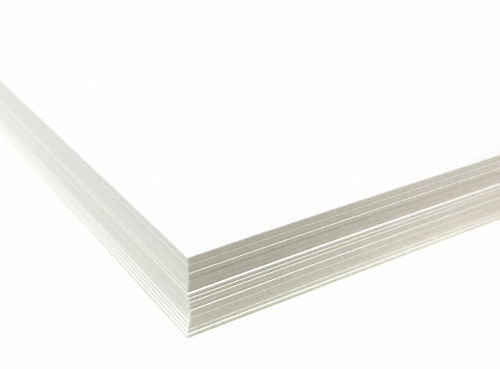 Pack of 25 white backing boards, acid free, 650GSM (approx 1mm thick). These are pH neutral, do not contain lignin, are not buffered and are appropriate for use in the conservation and long term storage context, as well as just for improving presentation and for general print protection. Perfect for use in combination with our Crystal Clear Bags for archival presentation of Fine Art Prints. Single ply with a triple clay coating on both sides. This is not a layered product like 2 ply or 4 ply matte board. Quite rigid, especially at the smaller sizes. Multiple sheets can be layered to achieve greater rigidity at the larger sizes if needed. Also known as acid free. These are neither acidic nor basic. These are not calcium buffered. Whilst buffering can provide further protection against acidification through age, it can also have adverse reactions with protein based materials. Suitable for long term print storage and mounting, as well as for presentation tasks. Crystal clear bags in A5, A4, A3, A3+, A2 and A1 for archival print packaging. Hand curated articles, links and downloads to help you get the best from your Backing Boards For Prints.